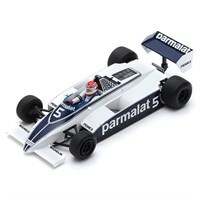 Spark 1:43 resin model of the #5 Brabham BT52 as driven by Nelson Piquet in the 1983 Monaco Grand Prix. 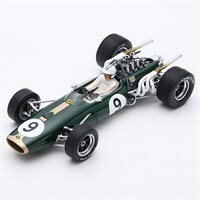 Spark 1:18 resin model of the #9 Brabham BT20 as driven to victory by Denny Hulme in the 1967 Monaco Grand Prix. 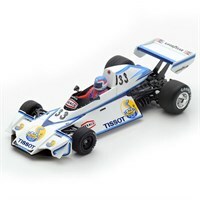 Spark 1:43 resin model of the #33 Brabham BT44B as driven by Patrick Neve in the 1976 Belgian Grand Prix. Spark 1:43 resin model of the #2 Brabham BT42 as driven to victory by Guy Edwards in the 1976 Oulton Park Gold Cup. 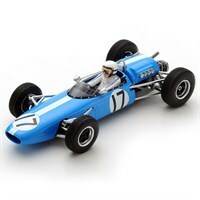 Spark 1:43 resin model of the #17 Brabham BT11 as driven by Bob Anderson in the 1967 French Grand Prix. 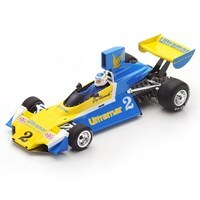 Spark 1:43 resin model of the #21 Brabham BT33 as driven by Wilson Fittipaldi in the 1972 Grand Prix. 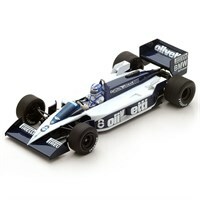 Spark 1:18 resin model of the #1 Brabham BT49 that Nelson Piquet drove to victory in the 1981 Argentinian Grand Prix. Spark 1:43 resin model of the #8 Brabham BT55 that Derek Warwick drove in the 1986 Canadian Grand Prix. Spark 1:43 resin model of the #8 Brabham BT55 that Elio de Angelis drove in the 1986 Monaco Grand Prix. 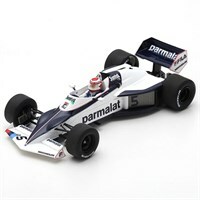 Spark 1:43 resin model of the #7 Brabham BT55 that Riccardo Patrese drove in the 1986 Monaco Grand Prix.